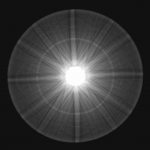 If you would like more information about a particular image, or to use resources for teaching purposes, please contact me. 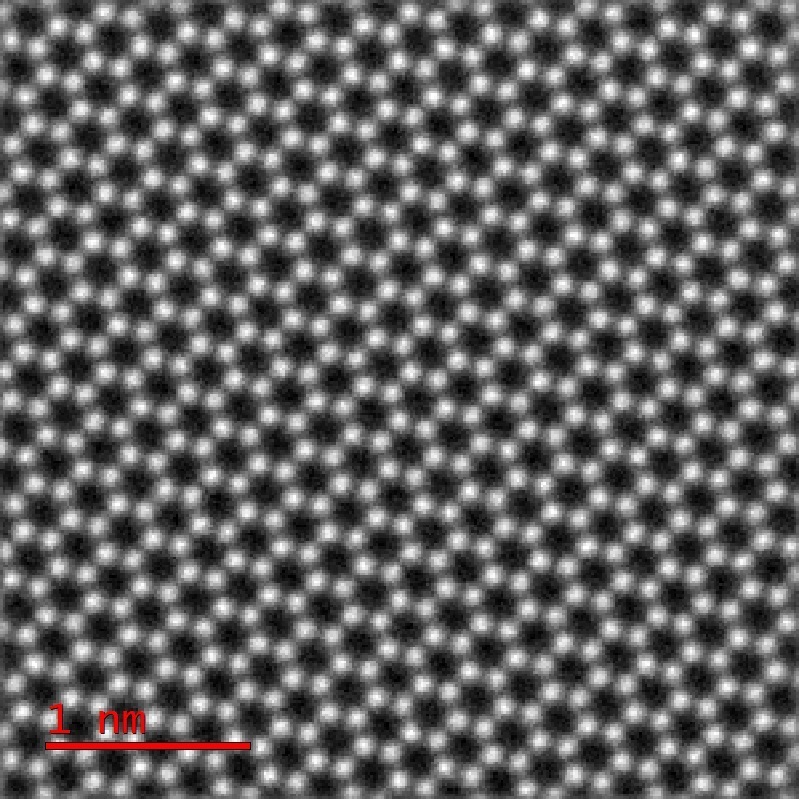 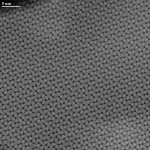 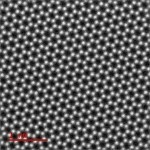 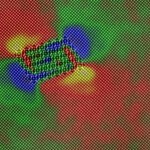 ADF STEM image of  oriented Silicon single crystal. 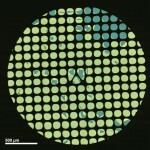 Sample-prep: Gareth Hughes. 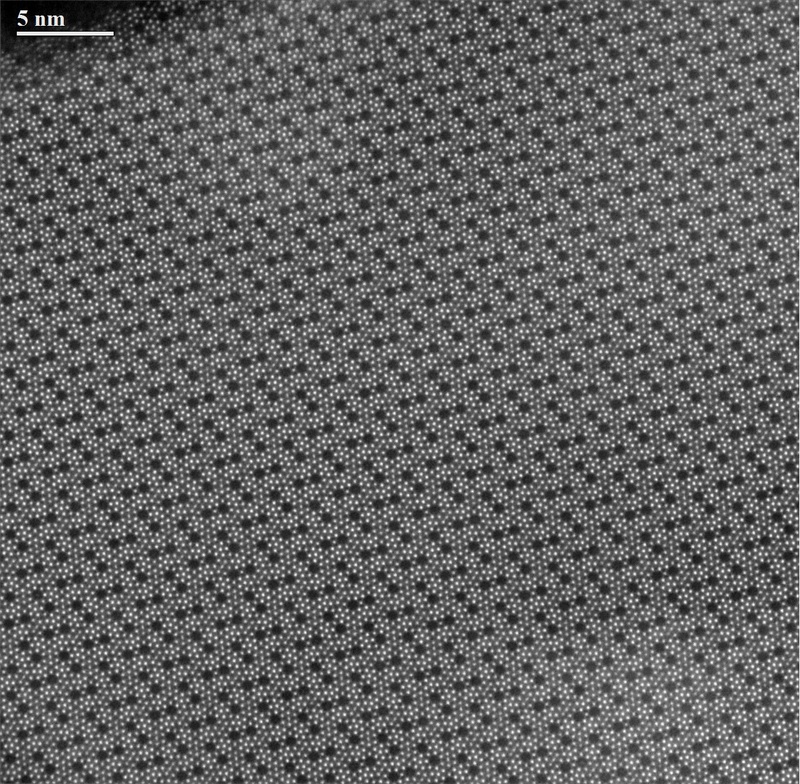 Strontium Titanate Kikuchi Pattern recorded at 200kV. 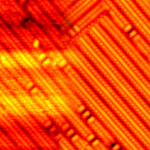 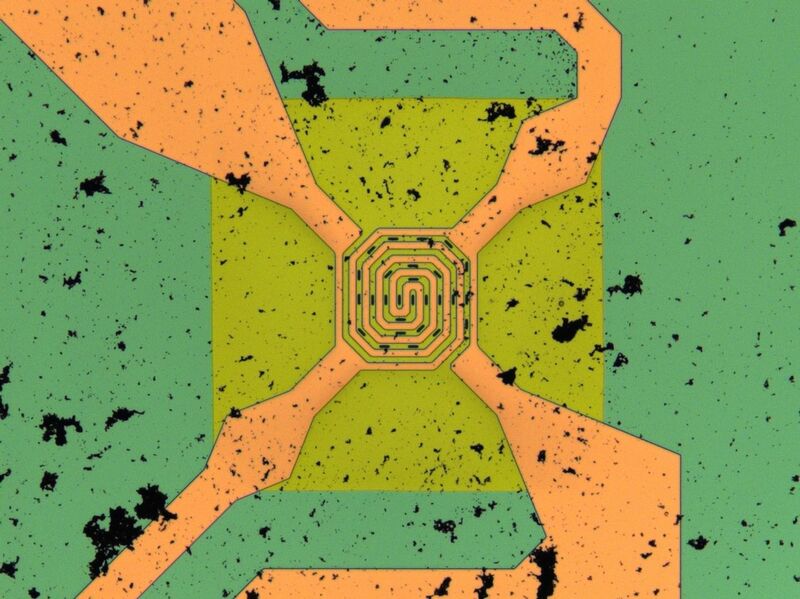 DENS in-situ heating chip loaded with metallic nanoparticles (optical micrograph). 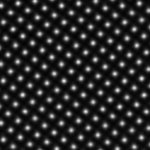 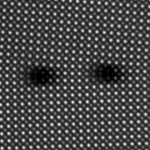 STM surface images before and after tip-height and scan-distortion correction (raw data: Matthew Marshall). 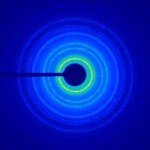 Polycrystalline gold diffraction pattern recorded at 200kV. 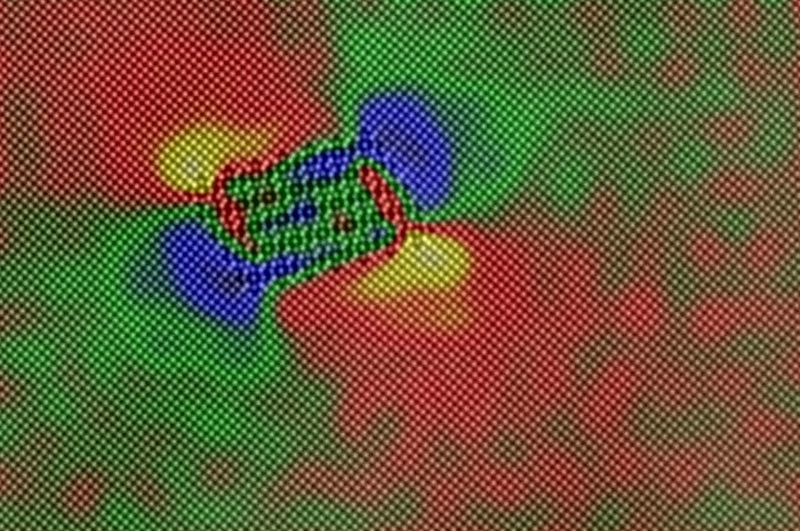 ADF STEM image of an Al-alloy precipitate colourised with the shear-strain (Exy) map. 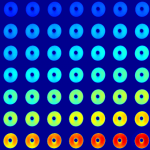 ADF detector response scans at various amplifier gain and brightness settings. 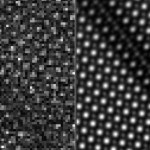 Single coarsely sampled ADF scan (left), and the final multi-frame digital super-resolution restoration (right). 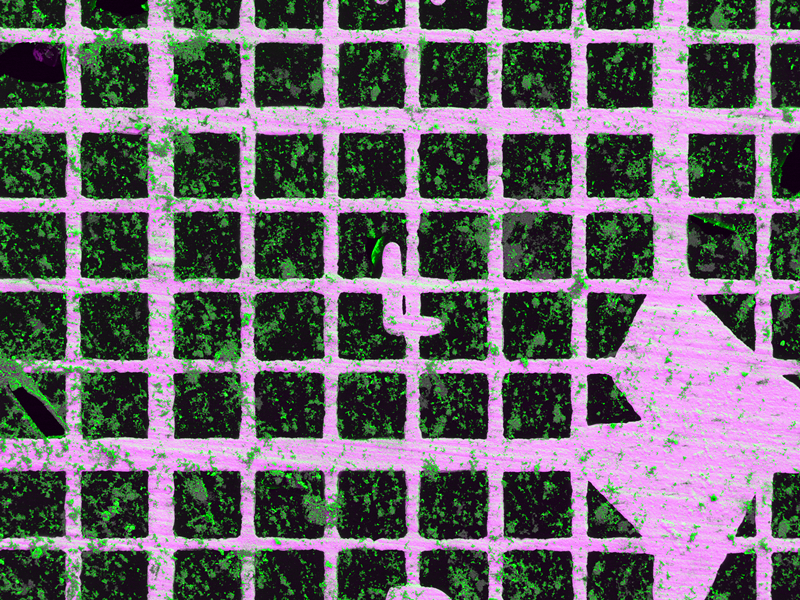 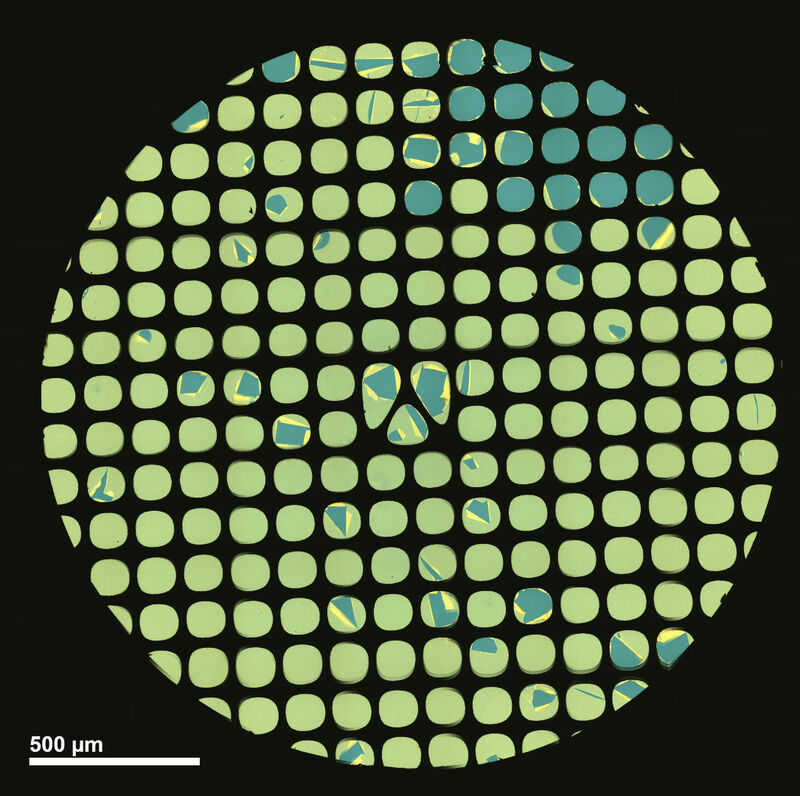 False-colour SEM image of platinum nanoparticles on a TEM grid (raw data: Gareth Hughes). 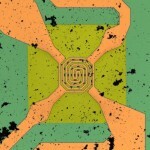 Single-layer graphene imaged by ADF-STEM (collaboration with Colum Ó Laoire & Gerardo Martinez). 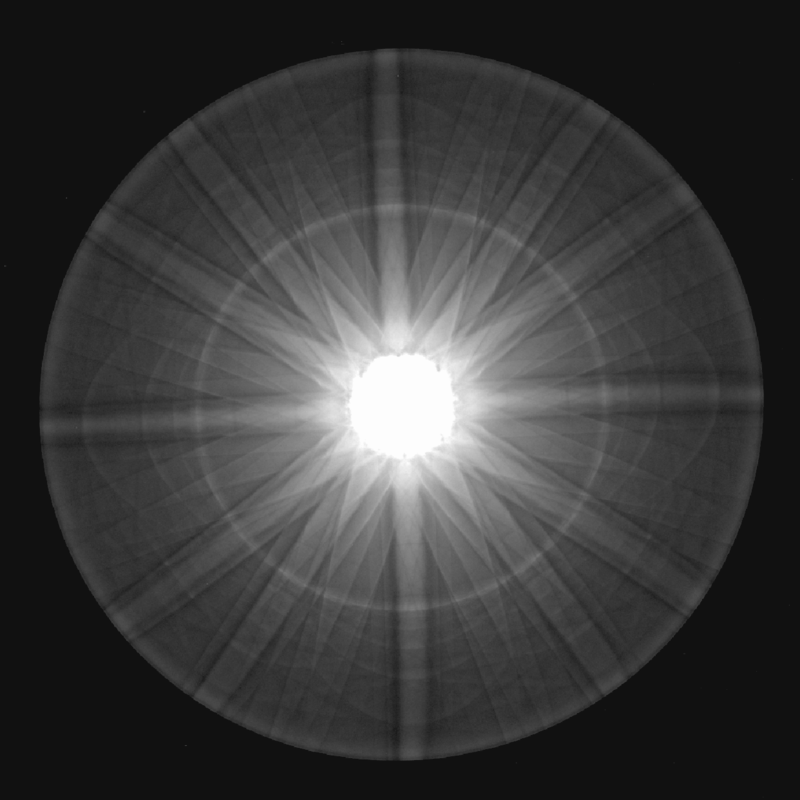 ADF STEM image of a low-angle grain boundary in strontium titanate (raw data: Hao Yang). 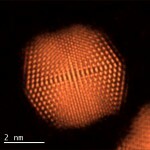 Gold icosahedron nanoparticle in  orientation. 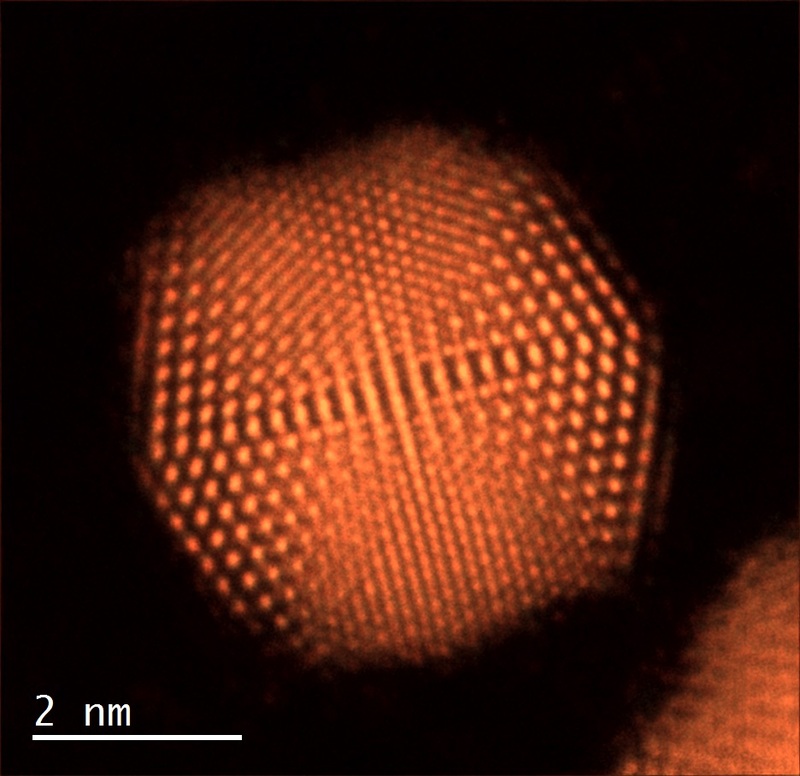 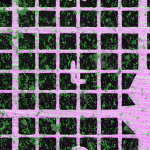 False colour image of Au nanoparticles on carbon-film TEM grid. 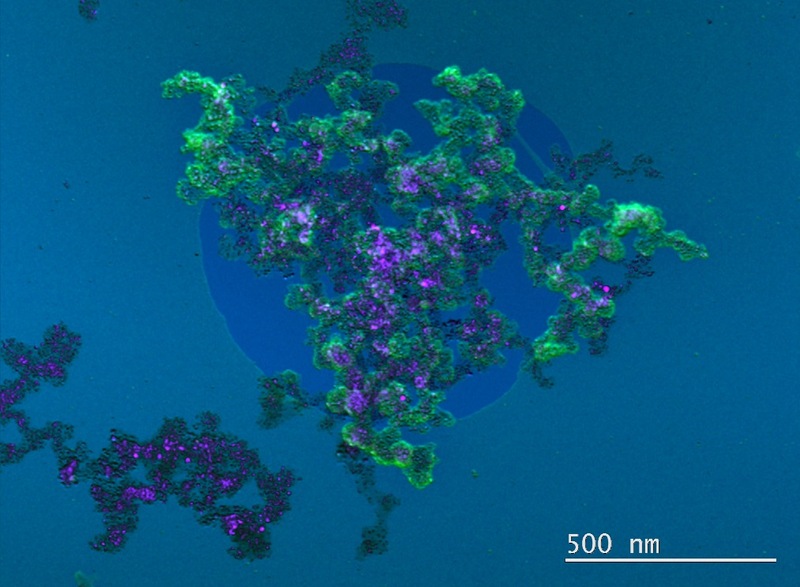 False coloured image of Pt nanoparticles on 3D amorphous carbon. 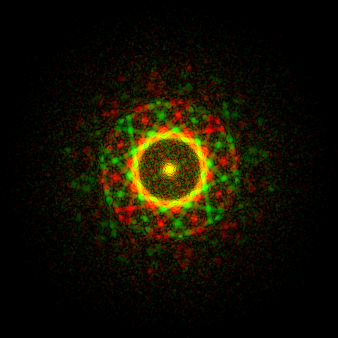 Restored ADF STEM image of MgO cube from through-focus acquisition (raw data: Armand Beche). 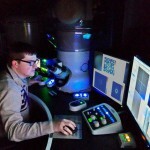 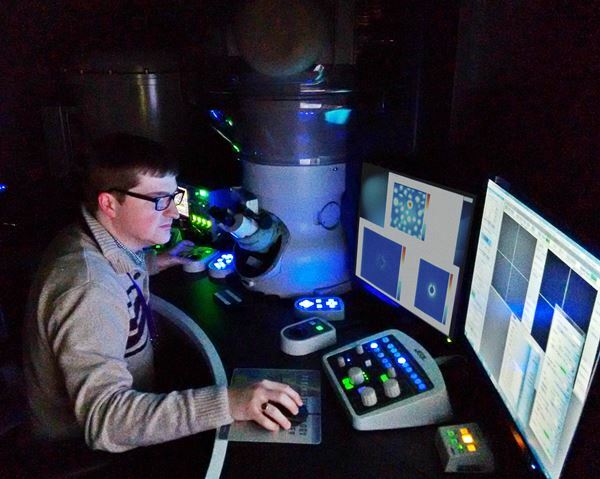 Me operating the Oxford JEOLARM200CF. 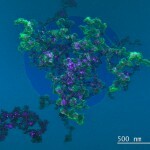 ADF STEM image of a twinned and ordered PtCo nanoparticle (raw data: Armand Beche).